Microsoft’s Xbox One X, or XB1X for short, is now a little over a month away from being launched in stores. Delivering the most powerful hardware ever seen among consoles so far, Microsoft is hoping to make a dent into Sony’s leadership position in the console market. Can the XB1X do that? No, the XB1X won’t be enough for Microsoft to catch up. It should give PlayStation 4 Pro a run for its money in 2018 in the United States and the United Kingdom, however. 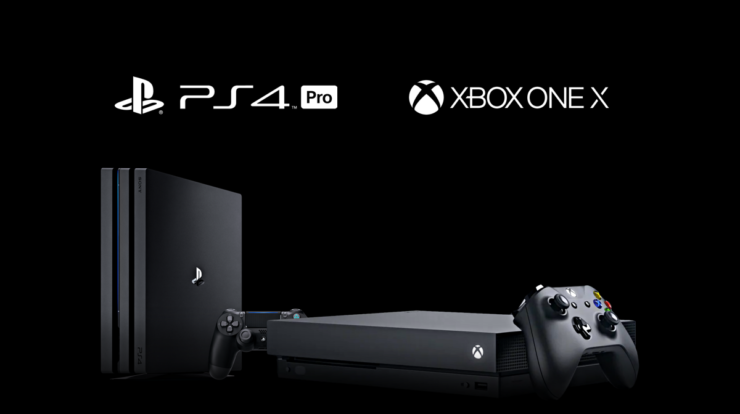 I’m projecting about four million XB1X consoles shipped from Q4 2017 through the end of 2018, and about five million PlayStation 4 Pro consoles shipped in the same timeframe. The way shipments break down globally, however, that implies a very tight race in the United States and the United Kingdom. Ward also revealed that IDC data points to both EA Access and Xbox Game Pass being quite healthy on Xbox One. Preliminary analysis of our Q3 2017 US gamer survey shows that about 20 per cent of Xbox One owners use one or both (EA Access and Xbox Game Pass). That’s a good attach rate in my book given that these services are still fairly young and aren’t cheap. Perhaps the biggest hurdle for many customers will be the Xbox One X’s high price. As we previously said, though, the price isn’t high at all when you look at the specifications. Lewis Ward agrees with this sentiment. Well, they may well be losing money on the hardware out of the gate. Our component teardown suggested a retail price of at least $600. So yes, it’s expensive relative to traditional home console norms, and yes, that will cause some people not to buy it, but given the hardware specifications I think $500 is a great deal. The Xbox One X will launch in most countries on November 7th. Are you getting one? Let us know below!